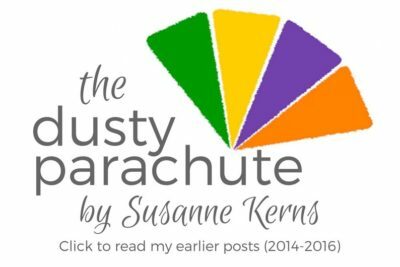 From 2014 – May 2017, I wrote at my former blog, The Dusty Parachute. That blog served me very well, and I still love the pieces that live there. After almost three years of blogging and working as a Social Media Consultant, my parachute is no longer dusty. I’ve also realized that life is too full of wonderful, surprising opportunities to try to limit my parachute to any one color so I’ve outgrown that name, and that blog. So, here I go, starting a new blog, under a new name. I’m officially taking my dive into writing, with or without a parachute. All my readers’ favorite pieces are still available at my DustyParachute site. Here are just a few of them you can click through to enjoy. My most “accidentally” viewed posts, thanks to Google searches. And I actually do some heartfelt, non-humor pieces as well.